My mother is a great cook. And I’m not just saying this because she reads my blog. She really is a great cook! The girls think so too though most times if you ask Allison who is the best cook she will say “Mommy!” and then “Nonnie!”. I know I’m not a better cook than my mother, but I’m happy to hear I’m Allison’s favorite cook! One thing she makes that is really yummy is her pizza! And she makes it every Friday. It’s funny because my aunt, her sister, used to make pizza all the time and it was awesome. My mother never made it but probably because her sister did. When my aunt died, I thought I’d never have her pizza again. But I have because everytime I eat my mother’s pizza – it reminds me of Auntie Teresa’s. It’s not exactly like it – but it’s close enough. So along with my mother’s yummy pizza, I get a nice memory of my aunt. 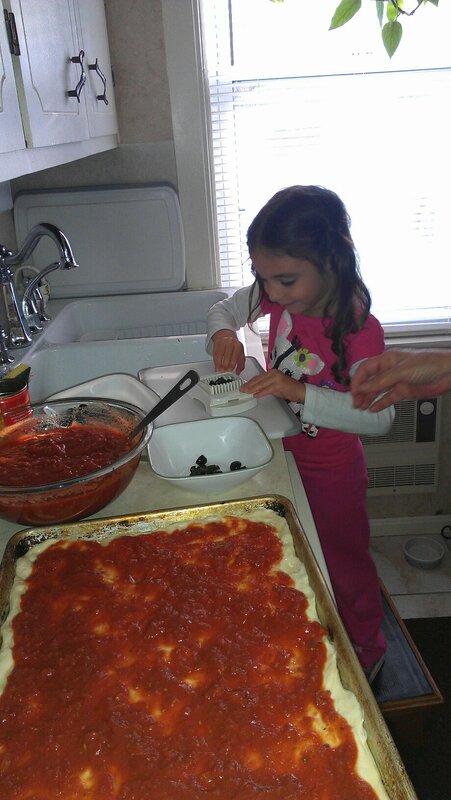 When we are visiting with my mother on Fridays, the girls love to help Nonnie make pizza. I was lucky enough to get this picture of them one day.. 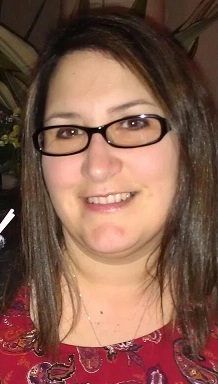 I remember when I took the picture my mother asked me if she looked OK in it. I told her that Allison isn’t going to care if Nonnie looked “OK” or not, she’s going to love this memory of making pizza with her Nonnie when she was 4 years old. That’s all that matters. After she agreed with me, I told her that only her hand made it into the picture. Next time I’ll get her in the picture, I promise!